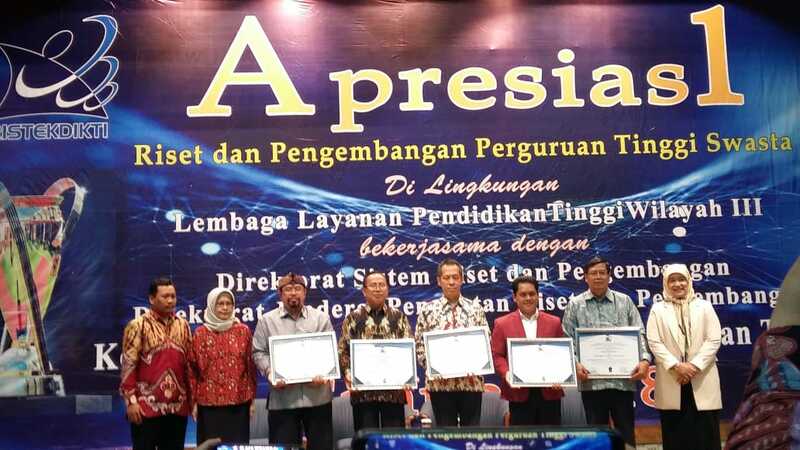 BINUS University has been awarded the First Rank in Private University Research and Development Appreciation for ‘University’ Category, given by Lembaga Layanan Pendidikan Tinggi Wilayah III. This award is given as a token of appreciation for Higher Education Institutions to keep their passion in creating high impact research. The award is accepted by the Rector of BINUS University, Prof. Dr. Ir. Harjanto Prabowo, MM which is grateful and thankful for the hardwork of all BINUSIAN in producing high quality research, enabling BINUS University to achieve the first rank in ‘University’ category.